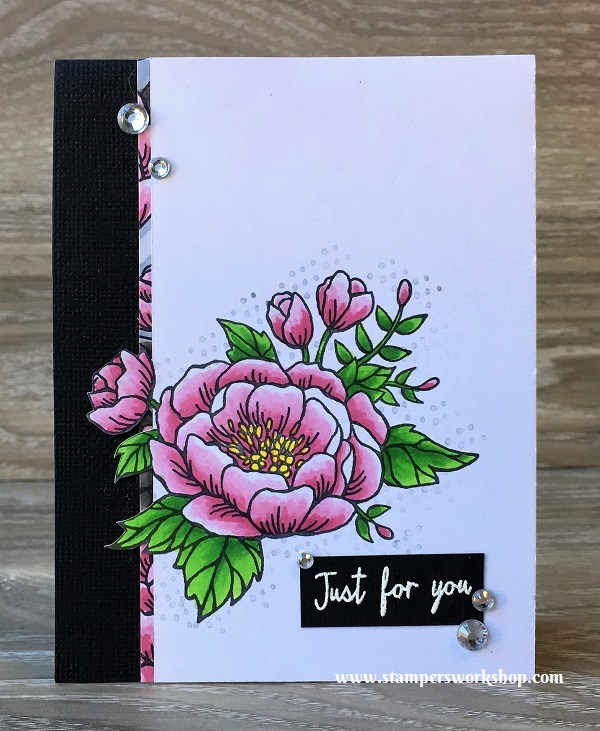 I am still loving the stamp set “Birthday Blooms” and I have made many, many cards using it. 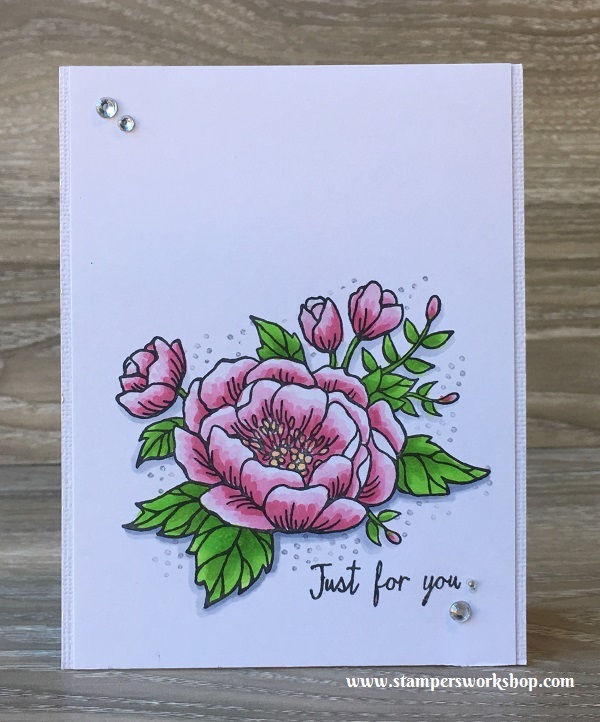 I’ll start to share more of these cards over the coming weeks. 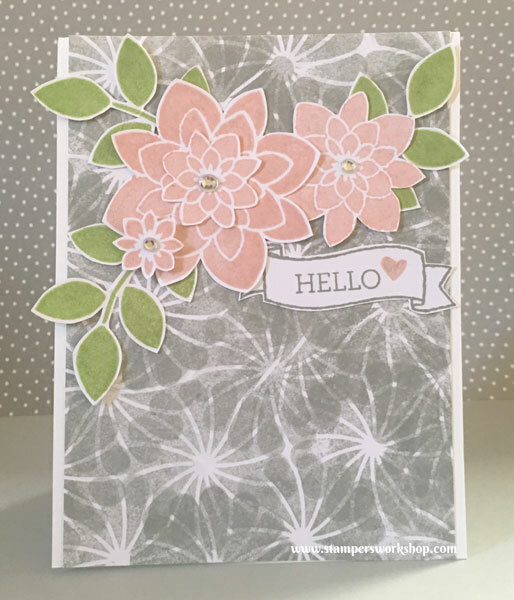 They are super easy to make and if you love to colour then you will *love* this stamp set. 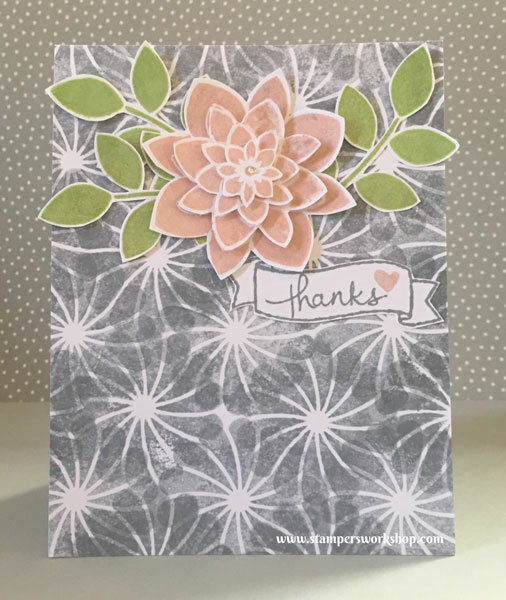 Materials used: Stamps – Birthday Blooms, Endless Thanks (Stampin’ Up! 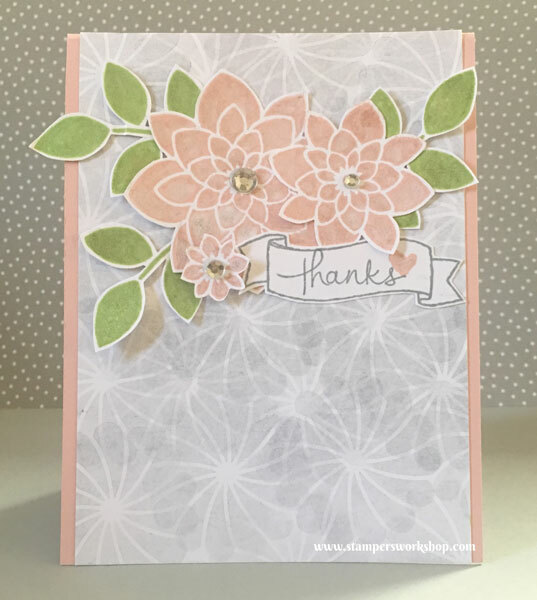 ), Dies – Layering Circle Framelits (Stampin’ Up! 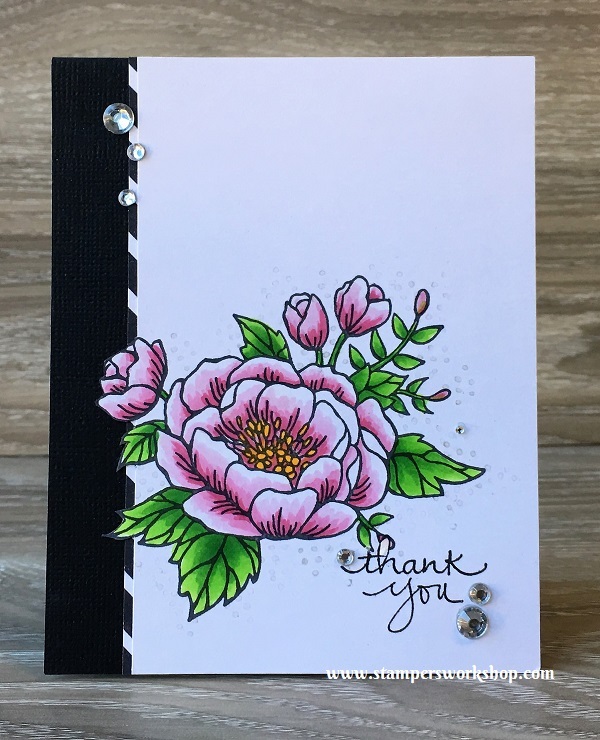 ), Copic Markers and Wink of Stella. 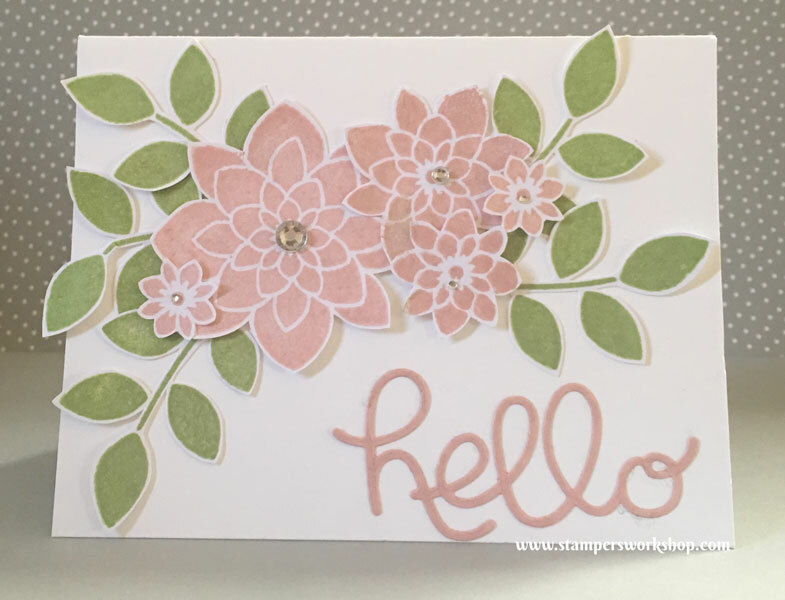 I am really pleased with how it looks and I hope you enjoy it too! 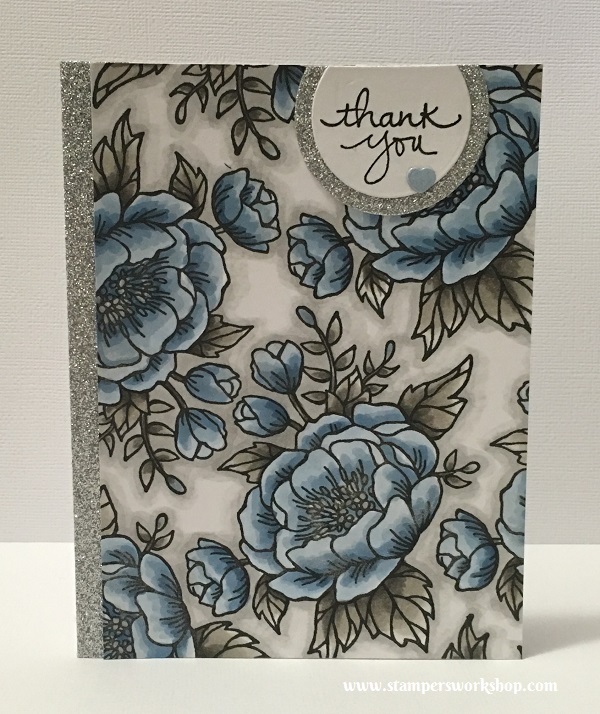 All of the supplies used to create this card can be found in my online store at: http://www.stampersworkshop.stampinup.net Unfortunately, the glitter washi tape is no longer available.